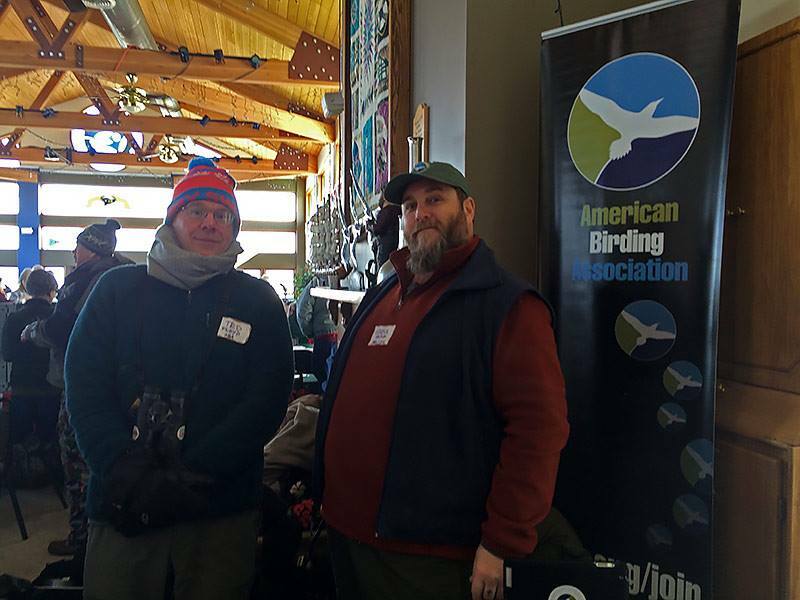 A great time was had at the 14th Annual IOS Gull Frolic on Saturday! 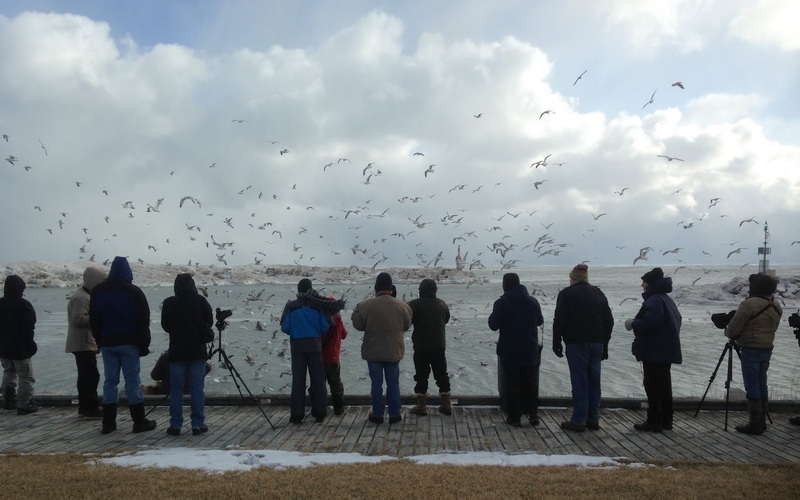 It was undoubtedly the coldest day of birding - ever - for lots of people present (8-10F, with persistent 25-40 mph winds that put the windchill temps at about -10 F). Don't let the blue skies and "fluffy" clouds fool ya! IT. WAS. COLD. Adult Thayer's Gull. Winthrop Harbor, IL. 14 FEB 2015. Thayer's Gull - 10 (6 adults, one 2nd cycle, three 1st cycle). Iceland Gull - 4 (2 adults, one 3rd cycle, one 1st cycle). Glaucous Gull - 6 (2 adults, one 2nd cycle, three 1st cycle). Lesser Black-backed Gull - 2 (adults). Great Black-backed Gull - 1 (1st cycle). Herring Gull (900+), Ring-billed Gull (10). Adult Kumlien's Gull. Winthrop Harbor, IL. 14 FEB 2015. Great Black-backed Gull (1st cycle). Winthrop Harbor, IL. 14 FEB 2015. Thayer's Gull with Herrings (1st cycles). Winthrop Harbor, IL. 14 FEB 2015. Kumlien's Gull (1st cycle). Winthrop Harbor, IL. 14 FEB 2015. Intermediate Thayer's/Kumlien's type (2nd cycle). Winthrop Harbor, IL. 14 FEB 2015. This event, organized by the Illinois Ornithological Society and in its 14th year, is a one-day bonanza that sells out well in advance (limited to 150 participants). 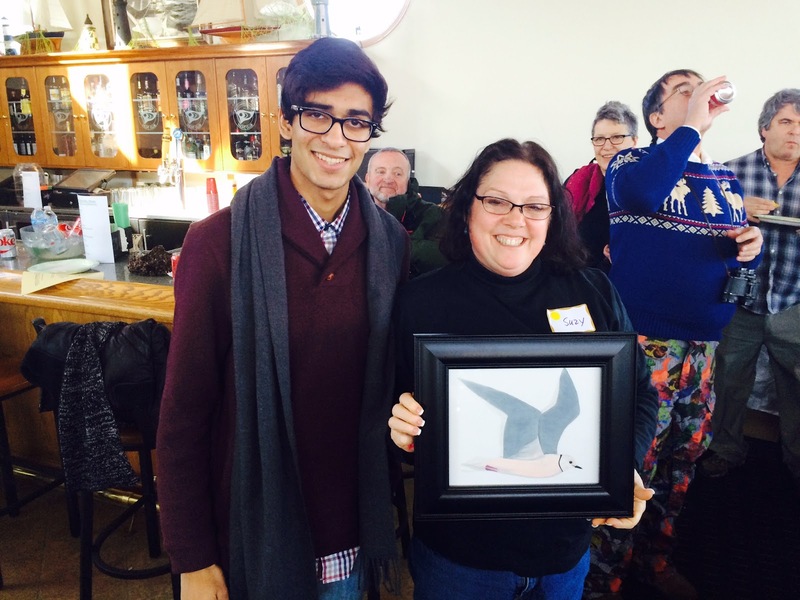 Nandu Dubey (left) presenting his Ross's Gull painting to our raffle winner. these gull skins from Chicago's Field Museum. Can you spot the Slaty-backed Gull? But without question, the highlight of this event was Ted Floyd and his very informative talk on "Gulls and the Meaning of Life in the Post-human Age". Ted's talk packed the presentation room to the rim. Ted Floyd and Greg Neise. Thanks to all of the participants, co-sponsors and volunteers that made this another successful Gull Frolic. See you on February 13th, 2016.